The huge torque peaking at 700Nm (516.3lb-ft) constantly available on demand to the driver across an engine speed range of 2,500 to 3,100rpm is the ideal basis for performance-minded customers in Europe. The S TDI models offer high driving dynamics and efficiency – an especially attractive combination for long-distance driving. With the S6 and S7 TDI models Audi systematically takes the successful drive concept of the SQ7 TDI (combined fuel consumption 7.6–7.2L/100km); combined CO2emissions 199 – 189g/km (320.3 - 304.2 g/mi) to the next level. For the first time, Audi’s engineers have paired an electric powered compressor with a 48-volt primary electrical system. This takes the three-liter V6 TDI’s total power output to 257kW (349hp). 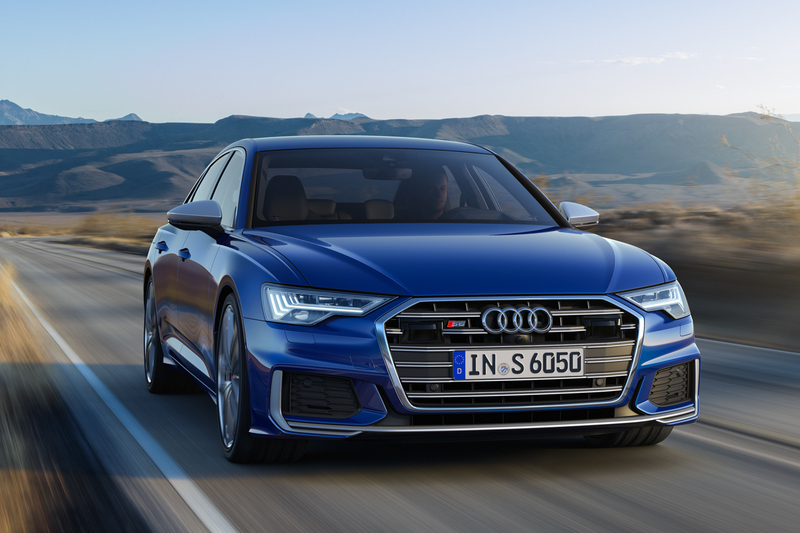 Power transmission is handled by the eight-speed tiptronic automatic transmission, which always operates in tandem with quattro permanent all-wheel drive. The EPC’s response time is under 250 milliseconds, its peak output is seven kilowatts and its maximum speed is 70,000rpm. The electric turbocharger’s boost function extends all the way to an engine speed of 1,650rpm. Thanks to dual supercharging, in other words the EPC working in tandem with the exhaust turbocharger, the full-size S models achieve a constant torque of 700Nm (516.3lb-ft) across an engine speed range of 2,500 to 3,100rpm. The EPC supports the TDI’s turbocharger whenever there is insufficient energy in the exhaust gas for a spontaneous torque buildup – when starting off or accelerating at low load, from a low engine speed. The EPC paves the way for an impressive starting performance. 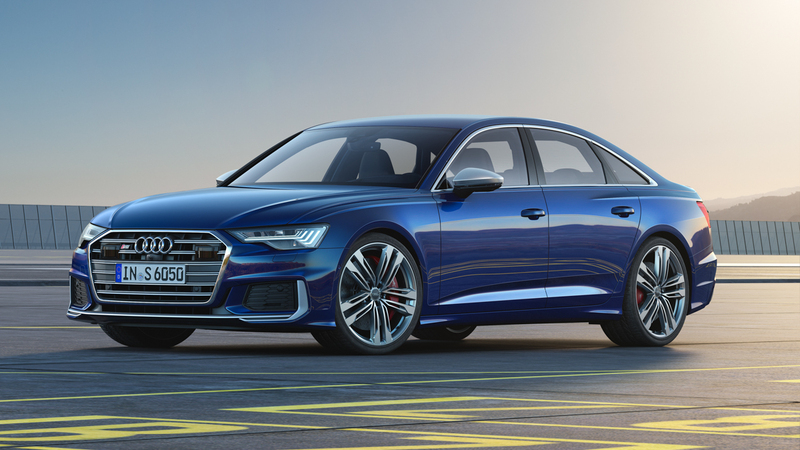 The V6-TDI complete with EPC propels the new S6 Sedan from 0 to 100km/h (62.1mph) in 5.0 seconds, with the S6 Avant and S7 Sportback taking a tenth of a second longer over the standard sprint. The top speed is electronically limited to 250 km/h (155.3mph). While the EPC boosts the performance, the mild-hybrid system (MHEV) helps to improve fuel efficiency. The 48-volt MHEV system comprises a belt alternator starter (BAS) and a lithium‑ion battery with a capacity of 10Ah housed in the vehicle floor beneath the luggage compartment. The BAS is connected to the crankshaft. During deceleration it can recover up to 8 kW of power, which it then stores in the lithium-ion battery. When the driver accelerates again, the BAS reacts instantly by restarting the engine. MHEV technology allows for start/stop operation from a speed as low as 22km/h (13.7mph). Thanks in part to the integration of the mild-hybrid system and the vehicle sensors, the S models realize a fuel saving of up to 0.4 litres in real driving conditions and can coast for up to 40 seconds with the combustion engine deactivated. On that basis, the S TDI models combine impressive driving dynamics with high efficiency, low fuel consumption and low emissions. All S TDI models have homologation to the Euro 6d temp emission standard. 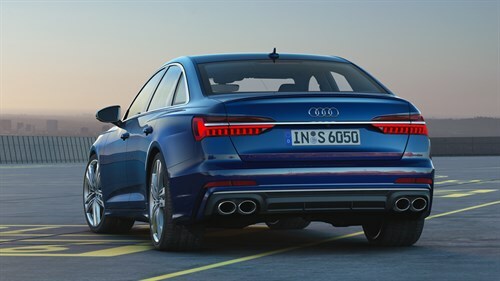 The WLTP values correlate to an NEDC fuel consumption for the Audi S6 sedan of 6.3 or rather 6.2 litres of diesel per 100 kilometres and CO2emissions of 165 or rather 164 grams per kilometre (265.5 – 263.9g/mi), depending on the tires/wheels used. The figures for the S6 Avant are 6.5 litres per 100 kilometres and 171g/km (275.2g/mi), and 6.5 litres/100km (36.2 US mpg) and 170g/km (273.6g/mi) for the S7 Sportback. The 3.0 TDI is notable for its power delivery and high efficiency. Its displacement of 2,967 cm3develops 257kW (349hp) of power. Its specific output is 117.9hp per litre of engine capacity, and its specific torque is 235.9Nm (174.0lb-ft) per liter. 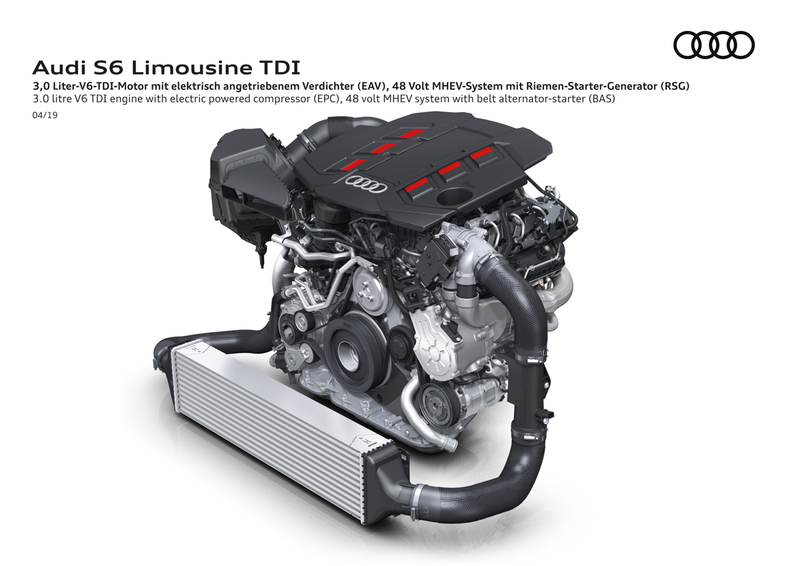 The V6 TDI weighs only around 190 kilograms (418.9lb) and has concentrated high tech to offer in every department. Its common rail system injects fuel at a pressure of up to 2,500 bar. Crankshaft, pistons, connecting rods and oil management meet high-performance requirements, and sophisticated measures have been taken to reduce friction in the crankshaft and camshaft drive. The cooling circuits of the crankcase and cylinder heads are kept separate so that the engine oil warms up rapidly from a cold start – the heads have dual-section water jackets. The coolant flow is directed to the oil cooler, the EPC, the BAS and the compressor case of the turbocharger as needed. The exhaust turbocharger, with a turbine wheel measuring 50 millimetres (2.0-inch) in diameter, generates a relative boost pressure of up to 2.4 bar. Its variable turbine geometry (VTG) is optimized for low-loss flow. The external low-pressure exhaust gas recirculation (EGR) only draws off the exhaust gas after the particulate filter so that the full mass flow can power the supercharger, significantly increasing its effectiveness. 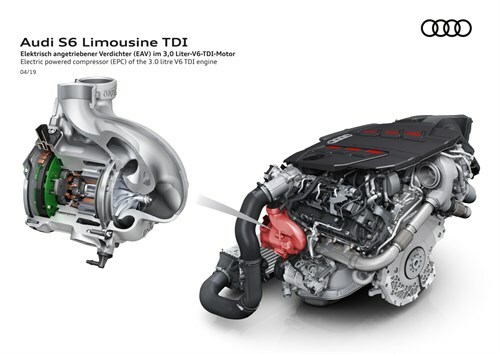 Operation of 3.0 TDI is ultra-refined. Compared with their predecessor models, the new large S models offer even better transverse dynamics. 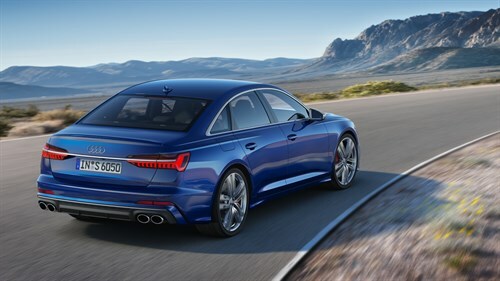 On request, Audi can supply dynamic all-wheel steering – this combines dynamic steering with a variable ratio of 9.5:1 and 16.5:1 at the front axle with separate rear-axle steering that is operated by spindle drive and track rods. At speeds up to 60 km/h (37.3 mph), the rear wheels turn as much as five degrees in the opposite direction to the front wheels. This reduces the turning circle by up to 1.1 meter (3.3ft). At medium and high speeds above 60km/h (37.3mph), they are turned by as much as two degrees in the same direction as the front wheels. This makes the S models much more maneuverable and agile at low speeds, and provides more directional stability at high speeds and when changing lanes. The S sport suspension developed specially for the new S models comes with damping control as standard, highlighting these vehicles’ sporty character. It lowers the body of the S6 by 20 millimeters (0.8-inch), and by 10 millimetres (0.4-inch) in the case of the S7. This gives both S models the same low ride height. Adaptive air suspension – the air suspension version with adjustable damping – makes its first appearance on S models as an explicitly comfort-oriented alternative. It can be set to three modes and includes a “lift” position for poor roads and automatic leveling. In the “auto” mode the body is lowered by a further 10 millimetres (0.4-inch)at speeds of 120km/h (74.6mph) upwards, and in the “dynamic” mode the vehicle remains always at this low ride height. The six-piston brakes on the new S models are big on performance. Their calipers are made from aluminum, painted black (or optionally red) and adorned with S logos. At the front, six pistons on each wheel grip steel brake discs measuring 400 millimetres (15.7-inch) in diameter; the rear discs measure 350 millimetres (13.8-inch) across. 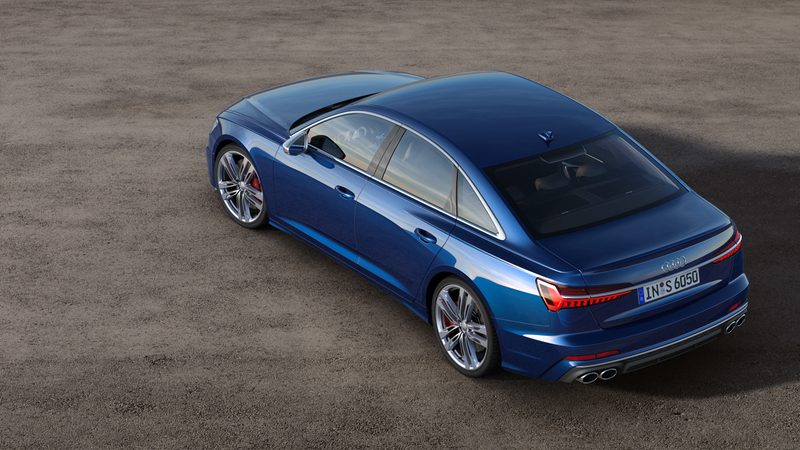 As an option, Audi can fit a six-piston ceramic brake system made from light, abrasion-resistant carbon fiber ceramic with 400 millimeter (15.7 in) discs at the front and 370mm (14.6-inch) discs at the rear. The complete ceramic brake system weighs nine kilograms (19.8lb) less than its steel counterpart, so it significantly reduces unsprung masses with the effect of further enhancing driving dynamics, especially when cornering. Electronic Stabilization Control ESC provides even more precise control than in the previous model. The driver can switch it to a Sport mode or shut it down completely. The new Audi S models are excellent cars for long-distance driving – among other reasons thanks to their rigid body structure which largely suppresses noise interference, their advanced aerodynamics and aeroacoustics, as well as their spacious interiors and luggage compartments. Depending on body version, the latter have a capacity of 530 liters (18.7 cu ft)(S6), up to 1,390 litres (49.1cu. 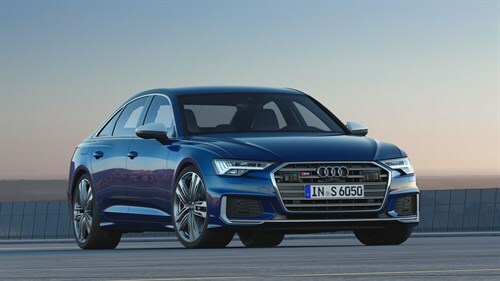 ft) (S7 Sportback) and up to 1,680 litres (59.3cu. ft) (S6 Avant).